One essential pack. 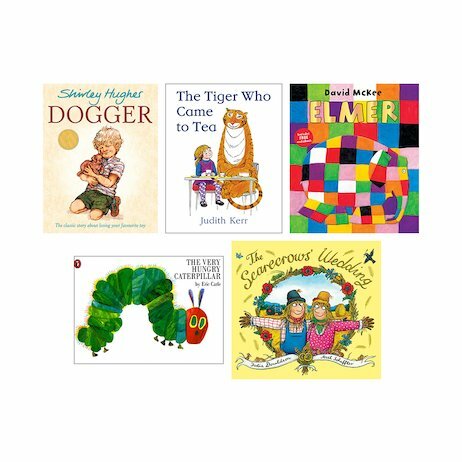 Five classics old and new: some of the greatest picture books of all time. Snuggle up – being a little one is all about sharing these kinds of special moments! Stories that have taught millions of children to love books. Ones that bring friends and families closer together, shared on rainy afternoons or at bedtimes. Treasures that belong to every childhood – timeless, funny and reassuring. Every page brings a new joy.